In my later years of teaching, I started to see a disturbing trend: students who couldn’t function without their parents’ help. They were so overpraised and overprotected that they were incapable of handling any problem, whether it was dealing with a teacher they didn’t like, sharing space with a roommate, or struggling with a class for which they didn’t have an affinity. [On a fellow teacher who felt guilty about flunking a talented student who stopped showing up to class] As I expected, we never heard from the student. Ever. So the F stood. And we all learned something: the teacher wanted the student to succeed more than the student did. People send each other messages all the time through their behavior, and the message here was, Fail me. I don’t want to be in school anymore. Instead of admitting that she wanted to get out of fashion, she forced the faculty to make her decision for her. From a faculty member’s point of view, I have this refrain: Why should I want you to succeed more than you do? When I don’t believe that “kids these days” are all lazy, entitled snowflakes out to torture their TAs, I think that students and college teachers can benefit from Gunn’s advice: Take a step back, and let the student choose if she wants to succeed or fail. And, in the final installment of the Tim Gunn philosophy, why you should listen to him–because he and Bob Sutton have the same basic message. Image of Tim Gunn and Heidi Klum by Michael Williams from Wikimedia Commons under a Creative Commons license. 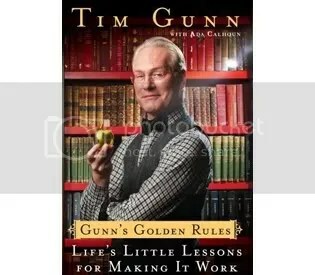 Reading Gunn’s Golden Rules So You Don’t Have To: Academics, Tim’s Watching You! Gunn’s Golden Rules gained notoriety because Gunn dared to call out some of the biggest names in the fashion world. 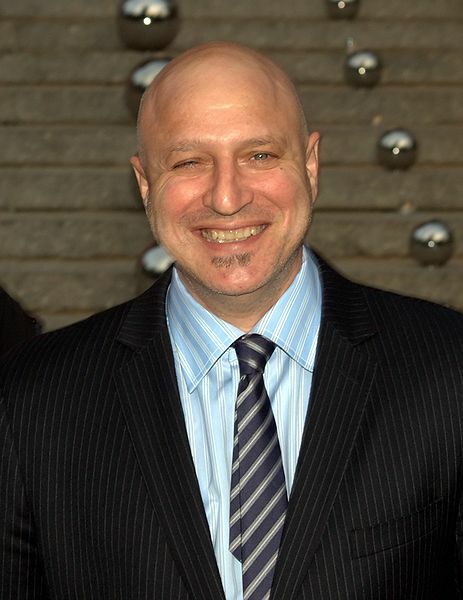 Yet he didn’t chide Anna Winotour, Andre Leon Talley or Isaac Mizrahi for a lack of talent. He chided them for reprehensible diva behavior. For example, Winotour had bodyguards carry her down multiple flights of stairs because she didn’t want to ride in an elevator with proles. In academia, too, you see this kind of outrageous behavior. I knew a dean who had soup delivered to his office. I once saw him bring a spoonful up to his mouth, scream, “This soup isn’t hot enough!” and hurl the container across his office onto a wall, which I noticed already had stains on it. Gunn also dings his fellow academics for a flaw that he couldn’t possibly apply to the relatively cutting-edge Winotour, Talley and Mizrahi–an aversion to change. 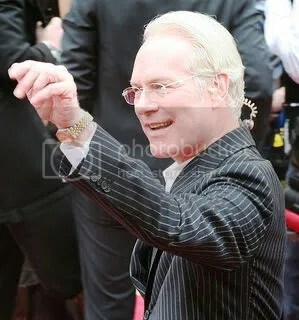 Image of Tim Gunn showing that nice academics can finish first at the 81st academy awards by Chrisa Hickey from Wikimedia Commons under a Creative Commons license. Project Runway mentor Tim Gunn is one of the few people on reality television who has some brains to back up the bluster. The man is clearly a fashion expert, but did you know that his wisdom extends to post academics? Before becoming a reality-show mentor, Gunn was a chair at Parsons The New School for Design, so he knows plenty about moving from academia to another gig. While he isn’t a hamster proper, his new book, Gunn’s Golden Rules, could also be called Advisor-in-a-Box. Like many advisors, he’s rambling, and not everyone is into the fashion thing, but he has many brilliant career tips and even advice for current academics.